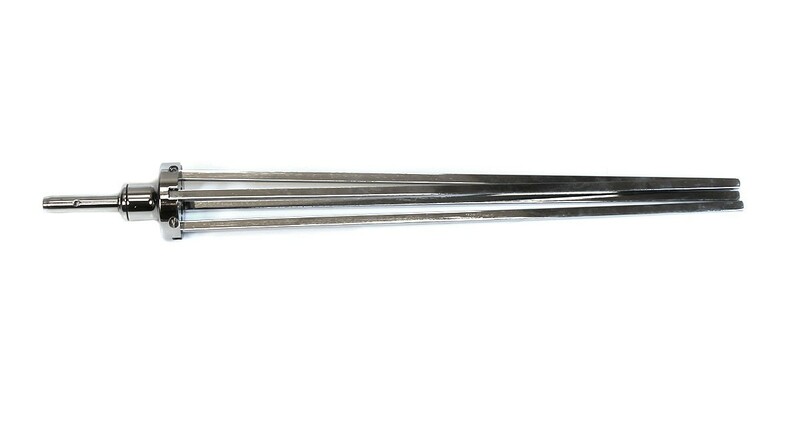 This chrome plated folding steel base is used for installing feather and teardrop banners on concrete or other hard surfaces. This chrome plated folding steel base is designed for use with feather and teardrop banners. Available in two sizes, this X shaped base unfolds to provide a stable base on floors, concrete or other hard surfaces. 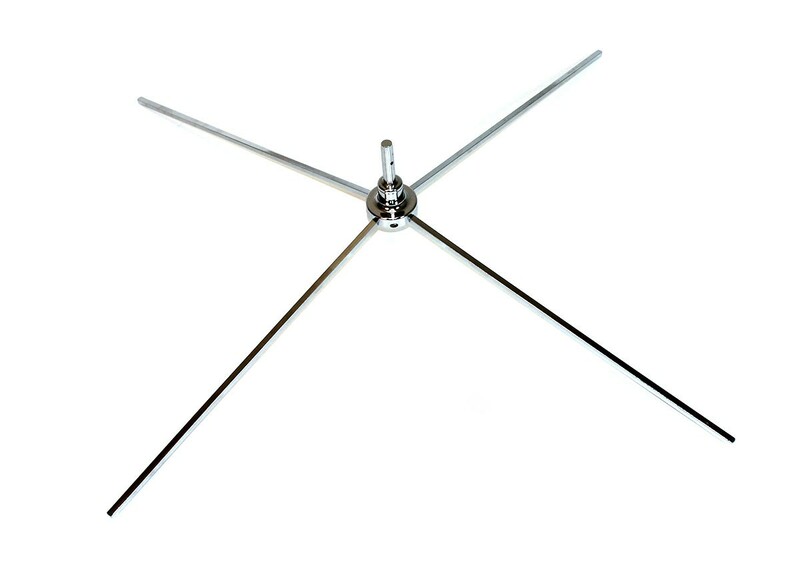 The Small/Medium size has 18.75" long legs and measures 39.5" across when set up and 24.5" long when folded. The Large/XL size has 22.75" long legs and measures 47.5" across when set up and 29" long when folded. The 3" long x .6875 diameter pole base has ball bearings to make it turn smoothly with little resistance. 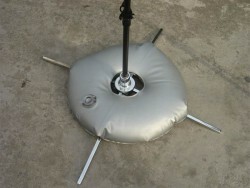 When the base of the feather banner pole is placed over this base, it can turn easily in the wind to minimize the wind load. The Water Bag accessory can be ordered from the Related Products tab, and is a donut shaped vinyl bag that can be filled with water and placed over the X Base to provide extra stability when used outdoors.